State trust lands were granted to states by Congress upon their entrance to the Union to provide support and revenue for vital public institutions, most commonly for public education. This practice dates back to the earliest years of the United States after the Revolutionary War. 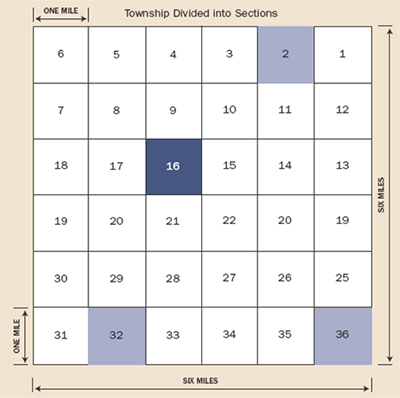 The origins of state trust lands can be traced to the rectangular survey system established by the 1785 General Land Ordinance and the 1787 Northwest Ordinance; these ordinances divided the public domain into 36-square mile “townships” that were further divided into 36 “sections” of one-mile each. These two important land management ordinances provided a policy framework guiding the disposition of the federal estate to facilitate settlement of the West and the establishment of new states in the Union. State trust lands represent the priority that the early American government placed on education. 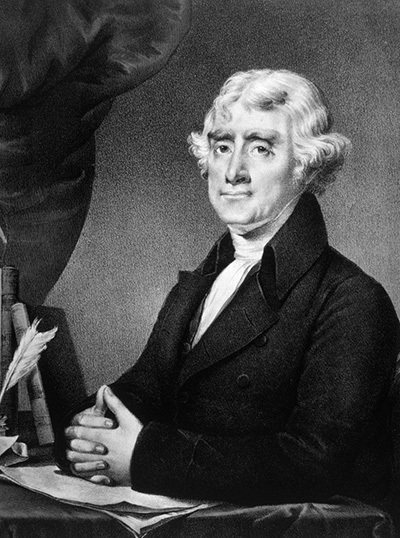 Trust land conveyances embodied the Jeffersonian vision for the young democracy and the belief that an educated citizenry was a prerequisite to a robust and functioning democracy. Historically, the original grants of state trust lands to newly entered states were the conveyance of the central parcel of each surveyed township (section 16), which would be reserved for the support of schools. Indeed, it was envisioned that the community’s school would be built in that central section, recognizing the importance and centrality of education for each township that would eventually be settled in the new states. This captured the post-revolutionary aspiration of townships as the primary unit of government, with populations organized around small, agrarian communities. The early federal government was famously “land rich and cash poor,” and therefore developed policies by which land management and disposition advanced the core values of the young nation. By providing state trust lands conveyances to support public institutions, Congress provided a means for state governments with little, if any, tax base to fund public education and other important institutions. 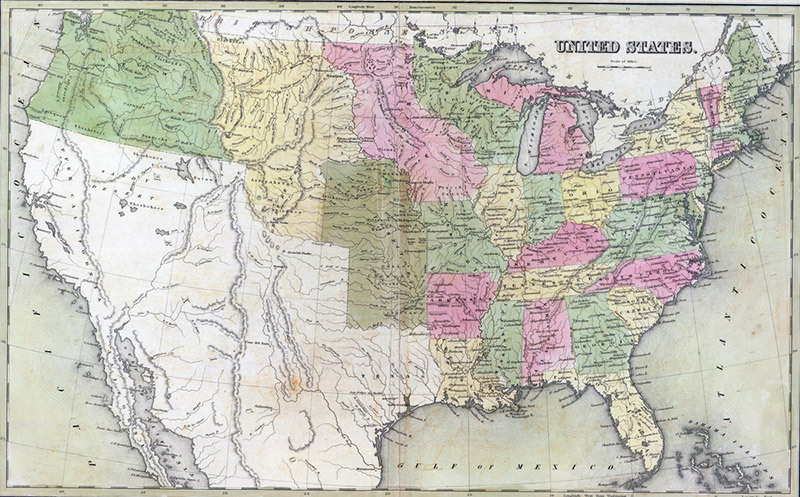 Map of the United States showing acquired territories from 1841 Goodrich Atlas. Ohio was the first state to formally receive a trust land conveyance of this nature from Congress in 1803. Other states would follow, and would receive section 16 of every township as part of their land grant from Congress. Once western states began to gain entrance to the Union, the trust land conveyance was expanded to include sections 16 and 36, and later to include sections 2 and 32 as well. This was largely in recognition that the landscape of the West was arid, rugged, and less suited for farming. Over time, the the Enabling Acts and state constitutions eventually became more and more restrictive, and culminated in the recognition that a legal “trust” was created with Congress’ conveyance of state trust lands to the newly formed state. Arizona was one of the last states to receive a grant of state trust lands, and as such, has some of the most restrictive provisions governing management of state trust lands. These restrictions on trust land management are commonly referred to as the “trust responsibility,” which is comprised of several themes relating to management and use. First, it has been held that the lands are legally held in trust by the state for specific beneficiaries. Second, the state, as the trustee, has a fiduciary obligation to manage the lands for the benefit of the beneficiaries of the trust grant. Lastly, the fiduciary duty of trust land managers operates as a constraint on the discretion of the state, requiring that trust lands be managed for the best interests of the trust. If you are interested in more details on the fiduciary mandate, trust responsibility, and history of state trust lands in the United States, the report “Trust Lands in the American West: A Legal Overview and Policy Assessment” contains greater depth of information. Arizona was granted sections 2, 16, 32, and 36 out of each township to be held in trust for public beneficiaries, primarily public schools. Furthermore, the state trust established with the conveyance of state land grants is considered a perpetual, intergenerational trust. As such, the obligations of trust land managers apply not just to the current beneficiaries of the trust, but also to future generations. This has been interpreted to require trust land managers to look beyond the more simplistic mantra of maximizing revenue and to invest in management portfolios that reduce risk over the long term and support sustainable strategies to maintain a healthy trust corpus (the land holdings) for future generations. This eye to resource management that considers future generations of beneficiaries provides trust land managers with the flexibility of considering non-monetary forms of values associated with trust lands. In recent years, the Utah State Supreme Court recognized the obligation of the state to consider and preserve a host of values connected with Utah state trust lands, including scenic, historic, and archaeological values. The Tenth Circuit Court of Appeals also found that, in the case of Colorado, accounting for beauty, nature, open space, and wildlife habitat values connected with trust lands were appropriate considerations within the context of trust land manager’s decisions. It is, therefore, not a stretch to think that considerations of the critical watershed functions of the Verde River and its tributaries, and the value they provide to rural communities and the downstream metro area of Phoenix, would not be out of place in state trust land management in Arizona.